Connie Brentford is a social media strategist who consults with authors to help them create effective social media campaigns for their books. Her latest course, Twitter For Authors: Book Marketing and Brand Building can be found on Udemy. As a bestselling author with over 100,000 sales, her books focus on showing readers how to create a freedom lifestyle while working from home or traveling. She's has been dubbed "America's Work From Home Expert" by Woman's World Magazine. As a digital nomad she has traveled the world making online income for over eight years. 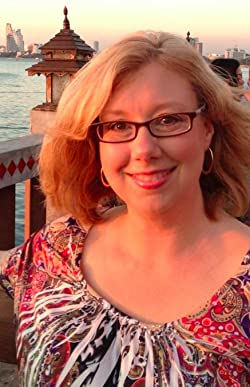 She's been published in numerous online publications and featured in US print magazines as a consultant for blogs that focus on self-publishing, freelance writing, online business, and the location independent lifestyle. Please enter your email address and click the Follow button to follow Connie Brentford!